A custom printed lunch bag available in many vibrant colours. 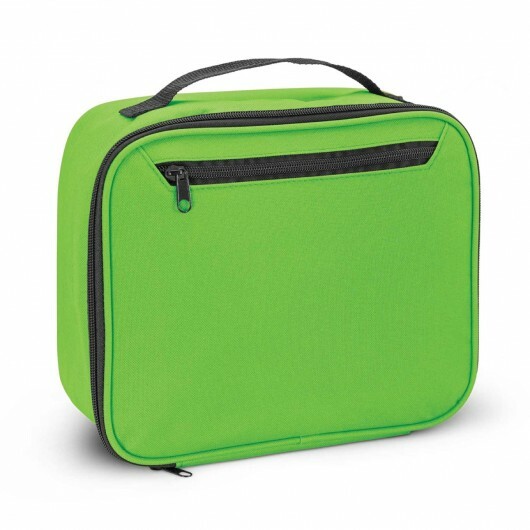 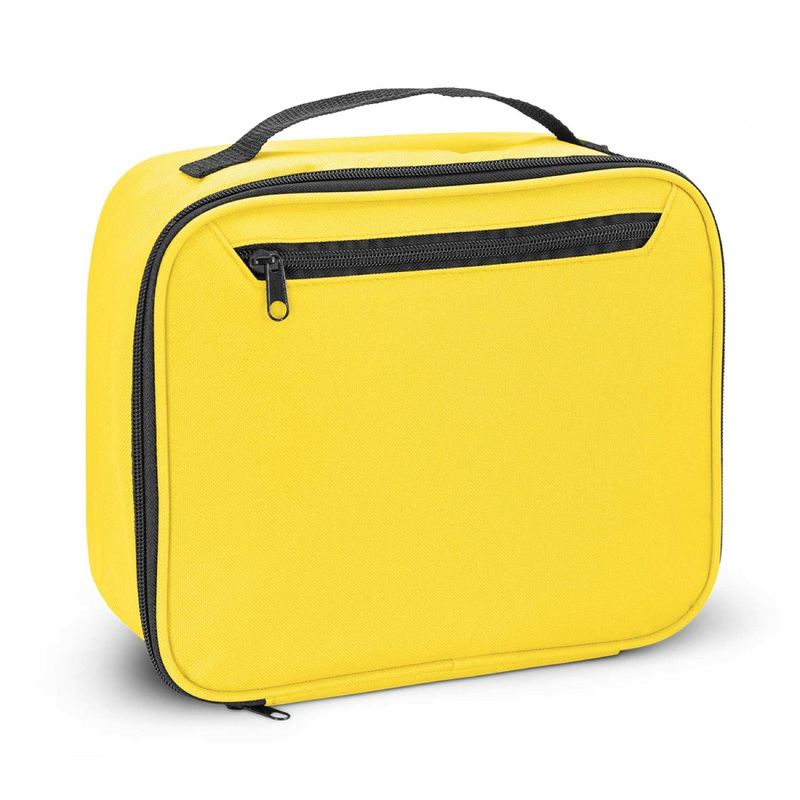 These 5 litre lunch cooler bags are excellent for work or school and offer you a prime opportunity to promote your logo on a daily basis. 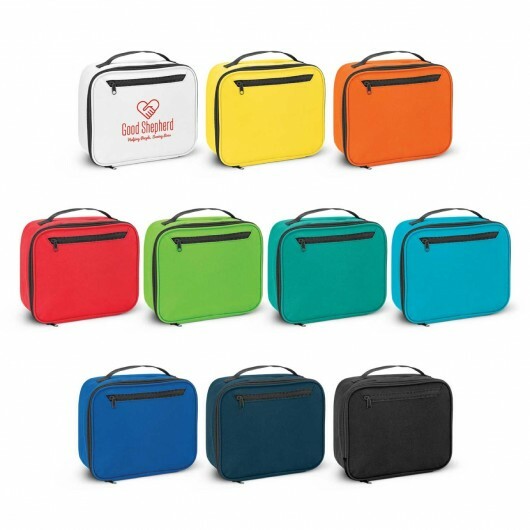 They are constructed from 600D polyester and have PE foam insulation encased in a water proof PEVA inner liner. Other features include a zippered pocket on the front, a zippered top closure and a woven carry handle.